A 21 year old writer, primarily a poet from the North East of England. He has released two poetry collections as well as having pieces of short fiction and poetry published in various online and print formats. He is recognised for original and ground-breaking poetry and was awarded TWC's 'Prince of Poetry' tag in 2013, when he was also a tallenge literature competition finalist. A debut poetry anthology detailing an emotional journey of experience and story telling. This is a small but wide collection of young poet Jordan Baker's most remarkable pieces from 2012. 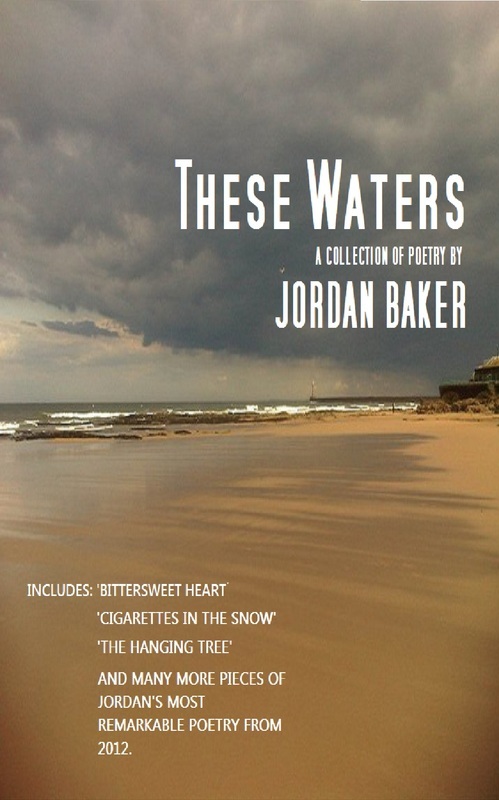 It includes the poems such as the heart-breaking 'Cigarettes In The Snow', the ranting honesty of 'Bittersweet Heart' and the epic narrative adventure 'The Hanging Tree'. The world as it is and how it can be. Poems about the real and unreal, dream and experience, in every possible form you couldn’t imagine. Collected here are the works of Jordan Baker in a respective life journey carrying the reader through a year of writing twenty-one years in the making. Original, creative and outstanding pieces of poetry which push the boundaries of what you thought possible in the art. 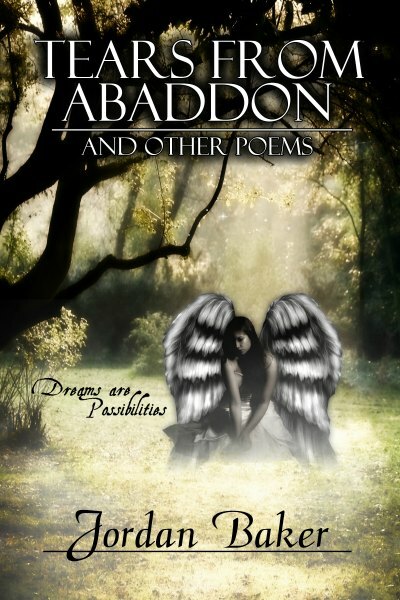 Including the title piece ‘Tears From Abaddon’- a five-part narrative epic depicting a man bargaining for his soul in the wastelands of limbo before the council of Christ and Satan, this collection has a bit of everything. Emotional, breath-taking, stunning and shocking pieces of poetry you won’t have read of similar before or ever again.